It can be quite important to position a patient on their side especially if it is to prevent health issues such as pooling of blood due to lying in bed for extended periods of time. This skill will come very handy also if the patient that you will be caring for is an invalid and does not have the capacity to move his body around by himself. Positioning a patient on their side is also important if you want to avoid any infection from developing on his back part of the patient’s body. The procedure is quite easy and you will be able to do this even without the help of another nursing assistant. The first thing that you have to do is of course, to greet and introduce yourself to the patient. Explain to the patient why you are there and tell him the step by step process. This will make it easier for the patient to understand what is being done to him and will help him feel at ease. After this, you must proceed to washing your hands and then put on a clean set of gloves. Elevate the bed so you can move the patient on a side lying position much easier. 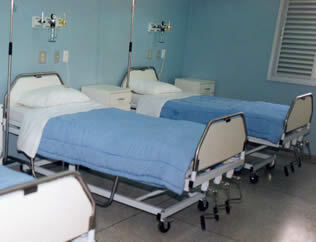 Raise the handrails on the side of the bed so as to ensure your patient’s safety. Make sure that you are telling the resident all the while what you will be doing next so that he will not be taken by surprise when you move his body suddenly. Next, grab the edge of the draw sheet near you and then pull it towards you. Do this as to have the patient on the side of the bed where he will have his back turned to. This is important so that when you move the patient to lie on his side, he will still be at the center of the bed. After this, ask the patient to grab the handrail on the side of the bed which he is facing and to slowly roll on his side. Do this only if the patient is physically capable of doing so. If he cannot do this procedure all by himself, then raise the draw sheet slowly in order to turn his body to a side position. Do this slowly also so the patient will not fall to the other side of the bed. Place a pillow on his backside under the sheets as well as on the area below his bottoms and also between his legs. You can also place one under his free arm if he requests for it. After doing this procedure, place the call light within the patient’s reach. Remove your gloves and dispose of them properly. Wash your hands thoroughly and then politely ask your leave from the patient. As you can see, it is a pretty fast and easy task to do which can be done even if you are alone assisting a patient. You only have to make sure that you do the steps properly in order to avoid injuring your patient.